Former Speaker Gene Zwozdesky has died at age 70. 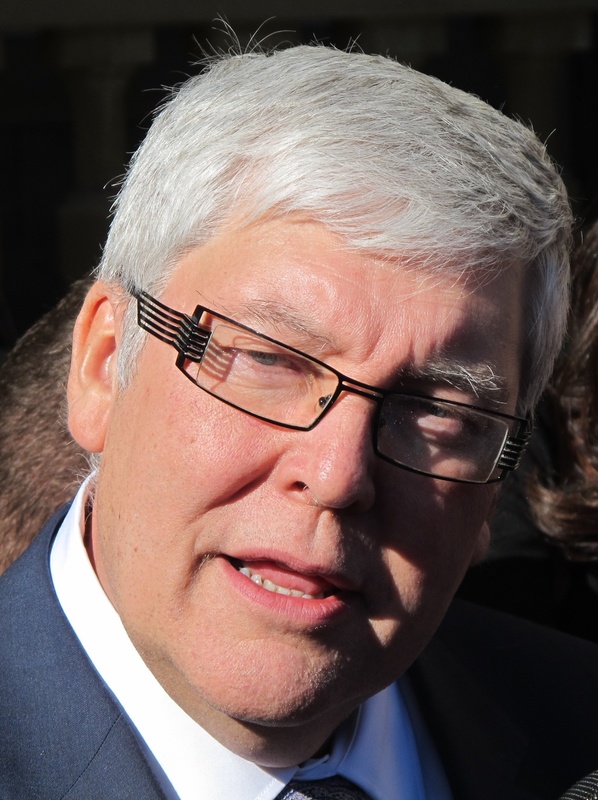 The “Wizard of Zwoz” started as a Liberal and became the PC Party’s charm machine. 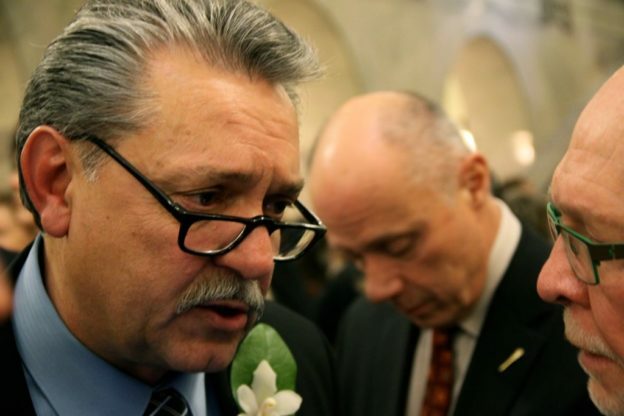 Gene Zwozdesky, the former Speaker of Alberta’s Legislative Assembly, has died of cancer at the age of 70. Known for being incredibly approachable and having the ability to lay-on the political charm in a grand way, Zwozdesky became known in the latter part of his time in elected office as the “Wizard of Zwoz” for his seeming ability to reverse unpopular decisions made by his cabinet predecessors. But while Zwozdesky is known to many Alberta political watchers from his time in the Progressive Conservative cabinet and later as Speaker of the Assembly, he started his political career in the opposition benches as a Liberal. 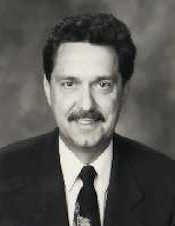 Gene Zwozdesky’s official MLA portrait photo in 1997. A teacher and champion of Alberta’s Ukrainian musical and cultural heritage, Zwozdesky was first elected to the Legislature in 1993 as Liberal in Edmonton-Avonmore. 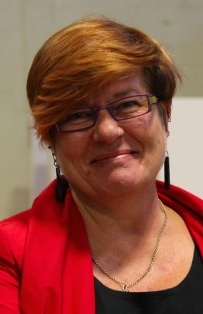 Zwozdesky defeated five other candidates to win the Liberal Party nomination that year, taking the nomination on the fifth ballot with 660 votes out of 757 votes cast. Led by former mayor Laurence Decore, Zwozdesky easily unseated two-term New Democratic Party MLA Marie Laing as the Liberals swept the capital city. He was easily re-elected in the renamed Edmonton-Mill Creek district in 1997, holding his vote share in an election that saw Liberal vote decline from its high-water mark in the previous election. Respected by his opposition colleagues for his work as treasury critic, community development critic, caucus whip, and co-chair of the party’s outreach committee, Zwozdesky was seen as a contender for the party leadership to succeed Decore in 1994 and Grant Mitchell in 1998, but chose to decline the leadership on both occasions. In 1997, Zwozdesky was briefly a candidate in the Speaker election following Stan Schumacher‘s retirement but was convinced by his caucus colleagues to withdraw from the contest. It is believed that the 18 Liberal MLA votes in that Speaker election helped secure Barrhead-Westlock MLA Ken Kowalski’s win over Premier Ralph Klein’s preferred choice, Dunvegan MLA Glen Clegg. In 1998, he left the Liberal caucus and crossed the floor to the PC caucus less than one month later. The official reason for his departure was said to be a disagreement with new party leader Nancy MacBeth over fiscal policy, but it was widely suspected that Klein had been personally trying to recruit Zwozdesky. 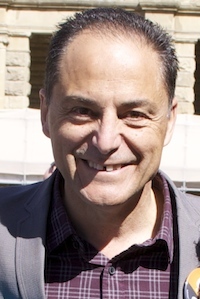 He was appointed to cabinet as Associate Minister of Health and Wellness in 1999, a shrewd political move to create a foil to counter opposition criticism of the PC government’s Bill 11: Health Care Protection Act, a bill that opponents argued would have increased the privatization of Alberta’s public health care system. Gene Zwozdesky (second from the left) with PC candidates Carl Benito, TJ Keil and Naresh Bhardwaj, and Premier Ed Stelmach at a Feb. 2008 campaign event at Jackie Parker Park. 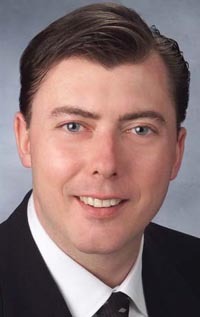 Zwozdesky was re-elected as a PC candidate in Edmonton-Mill Creek in 2001, 2004, 2008 and 2012. 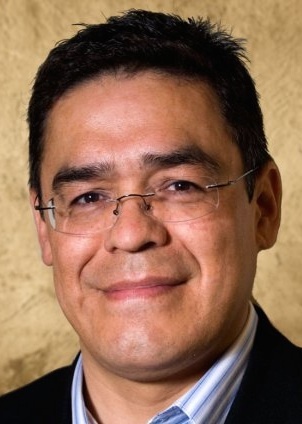 He served as Minister of Community Development from 2001 to 2004, Minister of Education from 2004 to 2006, Associate Minister of Infrastructure from 2007 to 2008, Minister of Aboriginal Relations from 2008 to 2010, and Minister of Health & Wellness from 2010 to 2011. In his roles as Minister of Education and Minster of Health, he was generally seen as a calming force appointed for the purpose of providing stability in the wake of a disruptive predecessor. As Health & Wellness Minister, Zwozdesky was given the nickname “the Wizard of Zwoz” by the media after he entered the role with a full-court charm offensive. “Only three weeks into the job he’s the Wizard of Zwoz, a minister who can reverse unpopular health-care policy with a wave of his BlackBerry,” wrote the Calgary Herald’s Don Braid in February 2010. In this role, Zwozdesky was responsible for mending the fences smashed by his combative predecessor, Ron Liepert. While he was only in the role for a short period and largely continued to support the PC government’s ideological creep towards privatization in health care, he did oversee important labour negotiations and the swift departure of Alberta Health Services CEO Stephen Duckett following the “cookie” controversy. He was dropped from cabinet when Alison Redford became premier in 2011 and following Kowalski’s retirement in 2012, Zwozdesky was elected Speaker of the Legislative Assembly. His only challenger in that contest was Edmonton-Centre Liberal MLA Laurie Blakeman, who was a rookie in the Liberal caucus when Zwozdesky mounted his first campaign for the Speakership in 1997. While generally seen as a fair Speaker of the Assembly, Zwozdesky had some partisan blindspots, most notably when he ruled that Redford did not mislead the Assembly over the tobacco-gate scandal. He was highly criticized for that decision. He served as Speaker until his defeat in the 2015 general election to New Democrat Denise Woollard. Although it had become clear by the final week of the last election that a giant NDP wave was going to splash through Edmonton, it was difficult to believe that Zwozdesky would lose re-election. But when the votes were counted in Edmonton-Mill Creek, the six-term MLA fell 5,174 votes behind Woollard, ending his 22 year career in Alberta politics. Following the 2015 election, Zwozdesky helped the new class of NDP and Wildrose Party MLAs transition into the Assembly and then gracefully stepped away from the political spotlight following the election of Medicine Hat MLA Bob Wanner as Speaker. And while a political comeback was unlikely for Zwozdesky after 2015, he continued to stay connected to his political past, being elected as President of the Alberta Association of Former MLAs in 2018. This entry was posted in Alberta Politics and tagged Alberta Association of Former MLAs, Alberta Health Services, Alberta Liberal Party, Alberta PC Party, Alison Redford, Barrhead-Westlock, Bill 11: Health Care Protection Act, Bob Wanner, Calgary Herald, Carl Benito, Denise Woollard, Don Braid, Dunvegan, Ed Stelmach, Edmonton-Avonmore, Edmonton-Centre, Edmonton-Mill Creek, Gene Zwozdesky, Glen Clegg, Grant Mitchell, Ken Kowalski, Laurence Decore, Laurie Blakeman, Marie Laing, Medicine Hat, Nancy MacBeth, Naresh Bhardwaj, Ralph Klein, Ron Liepert, Stan Schumacher, Stephen Duckett, TJ Keil on January 7, 2019 by Dave Cournoyer. Can we not go a week without someone threatening to harm the Premier? Speaking at a town hall forum in Fort McMurray, Fort McMurray-Conklin MLA and Wildrose Party leader Brian Jean made this ill-advised comment about Alberta Premier Rachel Notley. It appears as though Mr. Jean was trying to be funny while playing to a hometown crowd, which is no excuse for this kind of unacceptable comment. Jokes about assaulting women, even if they are off the cuff, are not funny. He did immediately apologize, twice, and quickly sent an apology directly to Premier Notley, but it is difficult to see how he can walk back this comment. This wasn’t a joke made by an anonymous internet troll or a roughneck after a few beers at the local bar, this comment comes from the leader of the Official Opposition who presumably wants to be the next Premier of Alberta. Mr. Jean’s recent comment is also embarrassing because of his previous call to Wildrose supporters to stop making online threats about assassinating Ms. Notley. 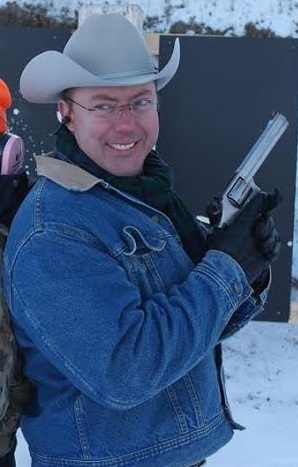 “These kinds of comments cross all bounds of respect and decency and have absolutely no place in our political discourse,” Mr. Jean said in a note on his Facebook page in December 2015. Women politicians in Alberta have been the target of constant online threats and harassment, which has unfortunately become almost normalized in our current political environment. Given recent threats levelled at Ms. Notley and women cabinet ministers, Mr. Jean’s comment is a mind boggling political fumble. The drum Mr. Jean claims to have been beating for the past 10 or 11 years is related to the level of seniors care available in Fort McMurray, an issue which has a long history of causing political controversy in that community and in the provincial capital. Back in July 2009, Fort McMurray-Wood Buffalo MLA and former cabinet minister Guy Boutilier was ejected from from the Progressive Conservative caucus for publicly criticizing the government for not funding a new facility. Mr. Boutilier publicly accused Health Minister Ron Liepert of “talking gibberish” and then criticized Premier Ed Stelmach for not wanting a cabinet minister “who graduated from Harvard with Barack Obama.” (he later admitted that he never met Obama while at Harvard). He later joined the Wildrose Alliance in 2010 along with two other PC MLAs who had crossed the floor earlier that year. 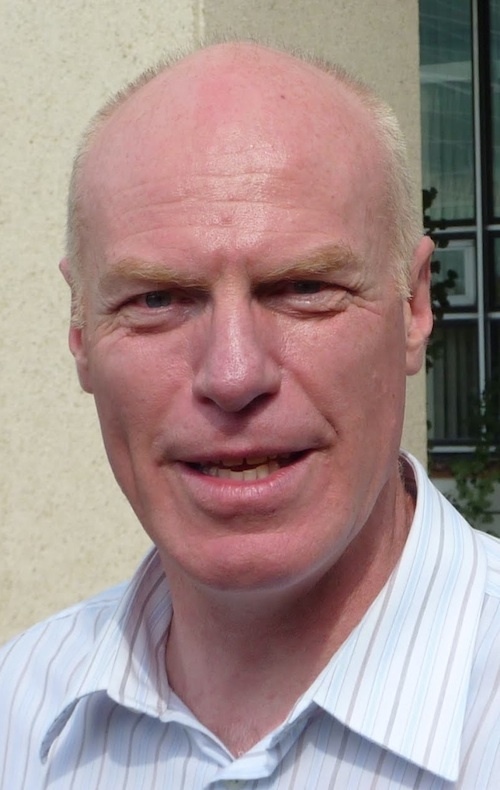 He was defeated by Tory Mike Allen in the 2012 election. At last night’s meeting, Mr. Jean is reported to have praised Ms. Notley for moving a planned long-term care facility from Parsons Creek to the downtown Willow Square site. This entry was posted in Alberta Politics and tagged Barack Obama, Beating, Brian Jean, Ed Stelmach, Fort McMurray-Conklin, Fort McMurray-Wood Buffalo, Guy Boutilier, Mike Allen, Rachel Notley, Ron Liepert, Violence against women in politics, Wildrose Party on August 31, 2016 by Dave Cournoyer. CBC reports that after 19 years as a Member of Parliament in Ottawa, former federal cabinet minister Jason Kenney, 48, is considering entering provincial politics in Alberta. Postmedia’s Jen Gerson writes that he will not confirm whether this is true. It was a prediction first made by Postmedia’s Graham Thomson in January 2016. So, Mr. Kenney, who just this week was appointed to the parliamentary committee studying electoral reform, could be abandoning plans to replace Rona Ambrose as leader of the Conservative Party of Canada and setting his sights on uniting-the-right and challenging Rachel Notley‘s moderate New Democratic Party government in 2019. If Mr. Kenney is going to enter Alberta politics, he will need to decide quick because the Progressive Conservative Party will be choosing its new leader before April 30, 2017. Mr. Kenney is a skilled politician, but he would ominously follow in the footsteps of another former federal Conservative cabinet minister, Jim Prentice, who jumped into provincial politics in 2014 before leading the 44-year old PC government to defeat in May 2015. New rules approved by the PC Party at its recent annual general meeting could make a leadership bid challenging for an outsider candidate. The PCs replaced the one-member one-vote system that existed from 1992 to 2014 with a new closed delegate system. This will require candidates to build broad support in 87 constituencies across the province, rather than relying on the ability to sign up large groups of voters in concentrated regions. If federal Conservative MPs decided to back Mr. Kenney’s bid, an orchestrated takeover could be possible, but there is significant animosity among rank and file PC members to a merger with the more hard-line Wildrose Party. And he would undoubtedly face a strong challenge from the moderate wing of the PC Party, most vocally represented by Calgary-North West MLA Sandra Jansen and Vermilion-Lloydminster MLA Richard Starke. Mr. Kenney’s supporters may have been connected to a recent attempt by a conservative lobby group to hijack the one-MLA Alberta Party. The takeover was thwarted when the party’s executive quickly rescheduled its annual general meeting to an earlier date. It is likely that the marauding band of conservatives were coveting the party’s brand name rather than its moderate-conservative platform. A bid for the PC Party or the Alberta Party leadership might seem odd for Mr. Kenney, who is likely more comfortable in the social conservative wing of the Wildrose Party and with his former colleagues at the Canadian Taxpayers Federation. The historical success of the PC Party in Alberta between 1971 and 2015 was not based on adherence to conservative ideology but on the ability of its leaders to build a big blue tent of conservative, moderate and liberal voters. Despite strong support for sending federal Conservatives to Ottawa, Alberta is now a much more progressive and moderate province than it was 20 years ago, when a young Mr. Kenney was roaming the halls of the Legislature as the spokesperson for the taxpayers federation. Mr. Kenney is not well-known for his conciliatory approach to Alberta politics. 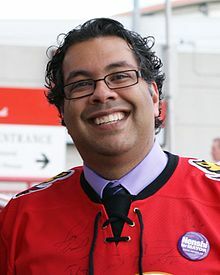 In 2015, he argued that “people like” Calgary Mayor Naheed Nenshi were to blame for the politicization of the niqab ban instituted by the federal Conservative government. In 2014, he engaged in a public spat with Ron Liepert when the former finance minister defeated long-time MP Rob Anders for the Conservative nomination in Calgary-Signal Hill. And in 2012, Mr. Kenney’s true feelings about then-deputy premier Thomas Lukaszuk were made known in a leaked reply-all email. There is also the inconvenient fact that Alberta’s elections laws make it impossible to actually merge the financial assets of the two political parties. Those laws also make it unlikely that the Wildrose Party could change its name to the Conservative Party of Alberta. This does not mean that there could not be one dominant conservative party to face the NDP in the next election, it just means that any sort of actual merger of parties is unlikely to happen. It should be noted that the last time an attempt was made to unite-the-right in Alberta, former Reform Party leader Preston Manning (pictured above with Mr. Kenney) was forced to apologize for his role in nudging 9 Wildrose MLAs across the floor to the PCs. That was in December 2014. There is also the question of how his former federal colleague Brian Jean, now leader of the official opposition Wildrose Party, will feel about Mr. Kenney stealing the spotlight, and potentially his leadership. Despite being constantly undermined by internal party disputes and self-inflicted embarrassment, Mr. Jean deserves credit for leading his party from the brink of extinction to 22 MLAs in 2015. 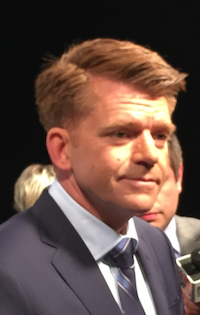 The inconvenient truth that his party still only sits at 35 percent in the latest public opinion poll could add momentum to those pushing to replace the Wildrose leader. The decision by Mr. Prentice, Mr. Jean and now maybe Mr. Kenney, gives the impression that Conservative party politics in Alberta is becoming a grazing plot for Conservative politicians whose careers in Ottawa have stalled. 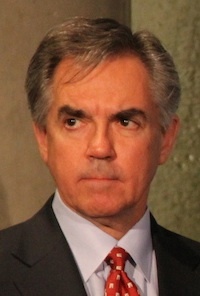 It was widely believed that Mr. Prentice was using his job as premier to springboard into a future bid for the federal Conservative leadership. I expect the same would be suspected about Mr. Kenney, if he does actually jump into provincial politics in Alberta. This entry was posted in Alberta Politics and tagged Alberta NDP, Alberta Party, Brian Jean, Canadian Taxpayers Federation, Jason Kenney, Jen Gerson, Jim Prentice, Naheed Nenshi, Niqab Ban, Preston Manning, Progressive Conservative Leadership 2017, Rachel Notley, Richard Starke, Rob Anders, Ron Liepert, Rona Ambrose, Sandra Jansen, Thomas Lukaszuk, Tom Flanagan, Unite the Right in Alberta, Wildrose Party on June 21, 2016 by Dave Cournoyer. The Calgary-Foothills by-election to replace former Progressive Conservative leader Jim Prentice, who resigned on the evening he was re-elected as MLA on May 5, will take place on September 3, 2015. Like most constituencies in Calgary before this year’s election, Foothills has been a traditionally conservative voting area that elected PC MLAs since the party began its 44-year run as government in 1971. 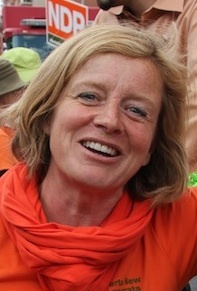 But unlike most constituencies in Calgary in the recent election, enough voters in Calgary-Foothills supported Mr. Prentice to avoid Rachel Notley‘s orange wave. This by-election is the first electoral test for Ms. Notley’s new government since it was voted into office on May 5. The NDP have nominated former alderman Bob Hawkesworth, who also served as the NDP MLA for Calgary-Mountain View from 1986 to 1993. With a comfortable majority of 53 MLAs in the Legislature, the NDP do not need to win this by-election, but a win would demonstrate that the NDP sweep in May can be expanded into new areas of the province. A very poor showing would be seen as a rebuke of Ms. Notley’s policies. Showing how serious the party is taking the by-election opportunity, one of the Premier’s top communications staffers, former CBC reporter John Archer, tweeted last week that he would be taking a leave of absence from his job at the Legislature to work on Mr. Hawkesworth’s campaign. Expect Calgary NDP MLAs and cabinet ministers Finance Minister Joe Ceci, Justice Minister Kathleen Ganley and Human Services Minister Irfan Sabir to be flooding through this constituency many times over the next month. Although the by-election will take place in the depths of summer, it also falls in the midst of a federal election campaign, which could create some fascinating political scenarios. Federal Conservatives united behind Stephen Harper‘s federal party may be forced to choose sides between the old Progressive Conservatives now led by former Calgary alderman Ric McIver and the opposition Wildrose Party led by former Fort McMurray Conservative MP Brian Jean. It is well known that many federal Conservative MPs, including Rob Anders and Jason Kenney, support the Wildrose but recent polls show the PCs remain popular in Calgary while the Wildrose opposition caucus is almost entirely based in rural Alberta. But in 2015, three former PC MLAs are running as federal Conservative candidates – Ron Liepert in Calgary-Signal Hill, Matt Jeneroux in Edmonton-Riverbend and former Calgary-Foothills PC MLA Len Webber in Calgary-Confederation. The by-election will be an important indicator showing if the PC still have a political pulse.The party remains in shock after their stunning electoral defeat and has yet to nominate a candidate to run in the by-election. Update: AlbertaPolitics.ca author David Climenhaga reports that past city council candidate Blair Houston is expected to be nominated as the PC candidate. Stakes are also high for the Wildrose Party and Mr. Jean. The Wildrose was unable to elect any candidates in Alberta’s two largest urban centres in the recent election, despite having elected two MLAs in Calgary in 2012. 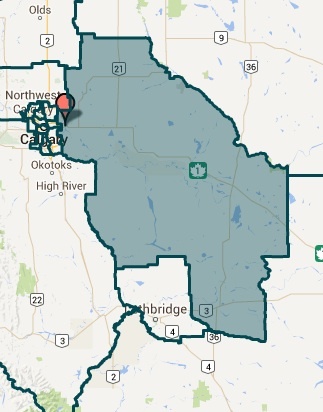 A Wildrose win in Foothills could torpedo activities by conservative operatives to merge the two conservative parties. Originally scheduled for August 15, the Wildrose has moved up their nomination vote to August 11, 2015 (John Huang, Kathy Macdonald, and Prasad Panda are contesting the nomination). 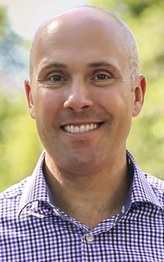 The by-election could also be an important test for the Alberta Party, whose leader Greg Clark was elected in Calgary-Elbow and has earned a reputation as a vocal critic of the NDP over the past three months. While still new to the Legislature, Mr. Clark has an opportunity to turn his party into the moderate conservative alternative to the PC Party and Liberal Party. The Alberta Party has yet to nominate a candidate. The Liberals have nominated electrical engineer and past candidate Ali Bin Zahid, and Green Party leader Janet Keeping, who ran against Mr. Prentice in May, is running again. This entry was posted in Alberta Politics and tagged Ali Bin Zahid, Blair Houston, Bob Hawkesworth, Calgary-Foothills by-election, Greg Clark, Irfan Sabir, Jason Kenney, Joe Ceci, John Archer, John Huang, Kathleen Ganley, Kathy Macdonald, Len Webber, Matt Jeneroux, Prasad Panda, Rachel Notley, Rob Anders, Ron Liepert on August 10, 2015 by Dave Cournoyer. With only 111 days left until Canada’s next federal election, parties are scrambling to nominate candidates in Alberta’s thirty-four new electoral ridings. Despite their win in the recent provincial election and a sharp rise in the polls, the federal NDP are still far behind in choosing candidates in Alberta, with only four five of thirty-four candidates nominated. The Conservatives recently lost one incumbent following the surprise announcement by MP James Rajotte that he would not seek re-election. The federal Liberals have nominated at least 23 candidates. Calgary-Forest Lawn: Myra D’Souza is seeking the NDP nomination in this east Calgary riding. Ms. D’Souza was a candidate for the Calgary Catholic School Board elections in 2013 and is currently serving her third term as a member of Calgary’s Co-op. Calgary Heritage: Dr. Brendan Miles has been nominated as the Liberal candidate in this southwest Calgary riding. The physician will challenge Conservative Party leader and Prime Minister Stephen Harper in the October 2015 election. Calgary-Midnapore: Laura Weston has been nominated as the NDP candidate in this south Calgary constituency. 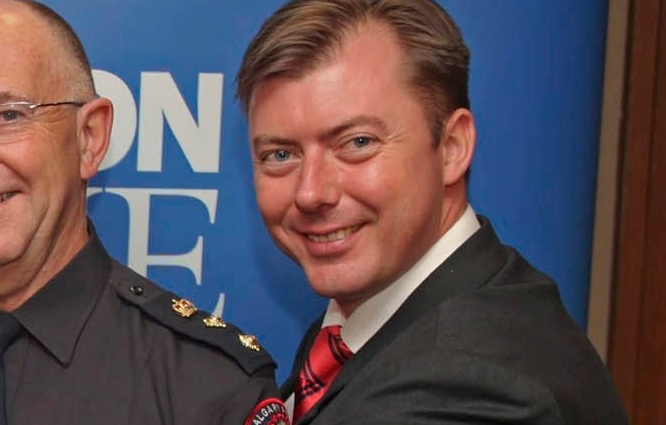 Formerly nominated candidate Michael Connolly was elected as the MLA for Calgary-Hawkwood on May 5, 2015. Calgary Nose Hill: The Liberals have nominated Ala Buzreba as their candidate. Ms. Buzreba currently studies at the University of Calgary and works with the City of Calgary’s Community and Neighbourhood Services. Calgary Shepherd: Mechanical engineer Jerome James is the nominated Liberal candidate. Calgary Signal Hill: The Liberals have nominated lawyer Katherine Kowalchuk to challenge former Progressive Conservative Finance Minister Ron Liepert in this west Calgary riding. She is the founder of Law Boutique and has served on the boards of the Association of Women Lawyers, Commercial Real Estate Women, and the Calgary Women’s Emergency Shelter. Edmonton-Manning: Artist and advocate Aaron Paquette, community activist Jeanne Lehman, and University of Alberta english instructor Glenda Baker are seeking the NDP nomination in this newly redrawn north east Edmonton riding. Mr. Paquette was one of the creators of the #Ottawapiskat hashtag, that satirized criticisms of the Idle No More protests. 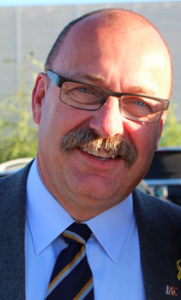 Edmonton Riverbend: With the announcement last week by Mr. Rajotte that he would not seek re-election, former PC MLA Matt Jeneroux has announced plans to seek the Conservative nomination. Mr. Jeneroux was first elected in the 2012 provincial election and was unseated in May 2015 by NDP candidate Thomas Dang. Edmonton-West: Former Edmonton Public School Board trustee Heather Mackenzie and hotelier Jim Hill are seeking the NDP nomination. The Liberals have nominated former city councillor and mayoral candidate Karen Leibovici as their candidate. Lethbridge: Michael Pyne has been nominated as the Liberal candidate. Sherwood Park – Fort Saskatchewan: Joanne Cave and Adam Comartin are seeking the NDP nomination. Mr. Comartin is the son of retiring NDP MP Joe Comartin, who has represented a Windsor-area riding since 2000. 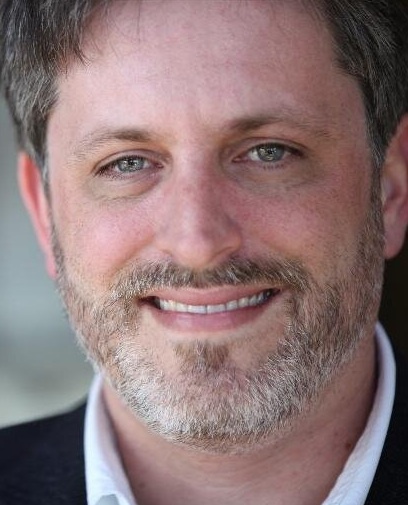 Sturgeon River-Parkland: Guy Desforges has announced plans to seek the NDP nomination in this new riding, which includes areas west and north of Edmonton. This entry was posted in Alberta Politics and tagged Aaron Paquette, Adam Comartin, Ala Buzreba, Brendan Miles, Federal Election Candidate Nominations Alberta, Glenda Baker, Guy Desforges, Heather Mackenzie, James Rajotte, Jeanne Lehman, Jerome James, Jim Hill, Joanne Cave, Karen Leibovici, Katherine Kowalchuk, Laura Weston, Matt Jeneroux, Michael Connolly, Michael Pyne, Myra D'Souza, Ron Liepert, Stephen Harper, Thomas Dang on June 30, 2015 by Dave Cournoyer. MLA Guy Boutilier with former Premier Ed Stelmach during the 2008 provincial election. In the heart of oil sands country, former Progressive Conservative cabinet minister, Wildrose MLA and now municipal councillor Guy Boutilier could be in trouble. As Fort McMurray Today first reported on January 7, 2015, his eligibility to serve as a councillor with the Regional Municipality of Wood Buffalo is being challenged. “At least one person has officially sworn in court documents that Councillor Guy Boutilier did not live in Fort McMurray during the 2013 municipal election — supporting an ongoing legal challenge claiming he was not eligible to run for his council seat. In an affidavit filed in the Alberta Court of Queen’s Bench, Sarah MacLeod says she rented a room in Boutilier’s Thickwood home with several other people during a two-year period. However, she says the former MLA-turned-councillor was seldom seen in Fort McMurray during that period. Two more claims have since been made against Mr. Boutilier’s eligibility, as reported by Today. These allegations against Mr. Boutilier began in November 2014, when the issue of his residency was raised by a local businessman. A fixture of Fort McMurray politics since the early 1980s, Mr. Boutilier has represented Fort McMurray councillor, mayor and MLA. But his years of public service have not been without controversy. He once claimed that he could turn off the part of his brain where he was a cabinet minister to avoid conflicts of interest while testifying to an Alberta Energy and Utilities Board hearing. Mr. Boutilier was ejected from the PC caucus in 2009 after accusing then-Health Minister Ron Liepert of “talking gibberish” about the construction of a permanent long-term care facility for seniors in Fort McMurray and then criticizing Premier Ed Stelmach for not wanting a cabinet minister “who graduated from Harvard with Barack Obama” (Mr. Boutilier later admitted that he never met Obama while at Harvard). Mr. Boutilier joined the Wildrose Caucus in 2010 and was defeated by PC candidate Mike Allen in the 2012 election. This entry was posted in Alberta Politics and tagged Barack Obama, Ed Stelmach, Eligibility, Fort McMurray-Wood Buffalo, Guy Boutilier, Local Authorities Election Act, Residency, Ron Liepert on January 17, 2015 by Dave Cournoyer. In my nearly ten years writing about politics in Alberta on this blog, 2014 was easily the most exciting. The sheer number of scandals, controversies, fumbles and resignations made for new content on a daily basis. If I had the time and resources, I could have easily written three or four posts a day for most of the year. 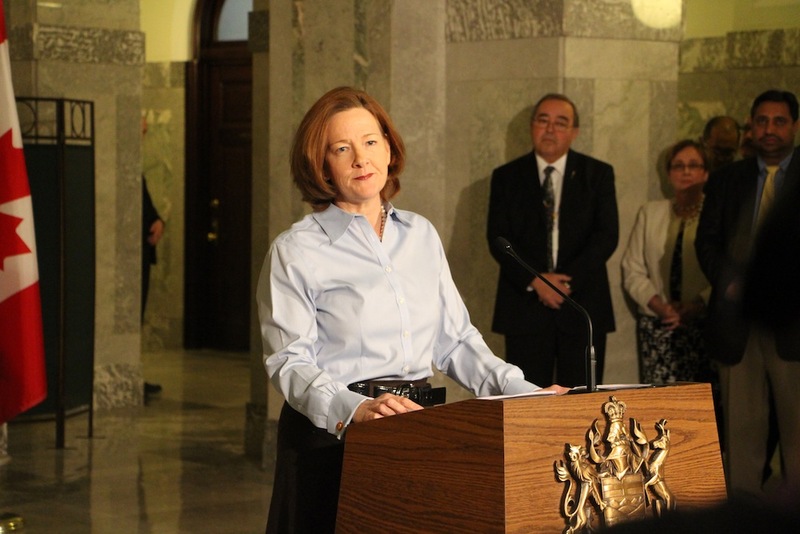 As this year comes to an end, I took a look through this year’s posts and compiled a list of the top ten political moments in Alberta of 2014. Thank you for reading and enjoy the list. After 17 years as one of the most hyper-conservative politicians in Ottawa, Member of Parliament Rob Anders was finally shown the door by Conservative Party members. 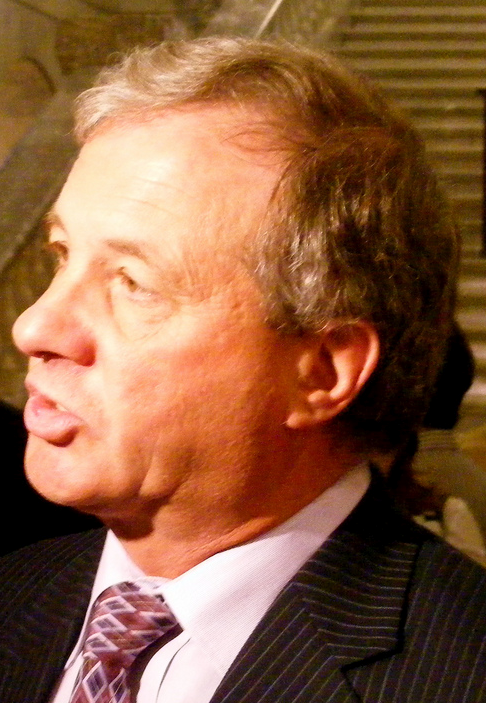 In April 2014, Mr. Anders lost a hotly contested Conservative Party nomination race in Calgary-Signal Hill to former Progressive Conservative MLA Ron Liepert. His second attempt at a nomination was in the rural riding of Bow River outside Calgary, where Mr. Anders was defeated by Brooks Mayor Martin Shields. 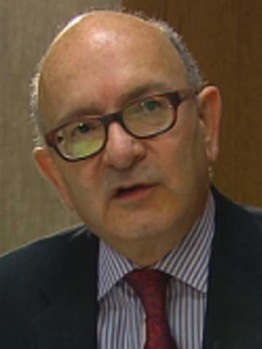 A July 2014 report from Auditor General Merwan Saher found no evidence that the Department of Environment and Sustainable Resource Development properly monitored the performance of the PC Government’s climate change strategy, which was first implemented in 2008. The report uncovered serious problems with the province’s expensive Carbon Capture and Storage strategy. Mr. Saher’s report found that the total emissions reductions from the CCS program was expected to be less than 10% of what was originally anticipated. The Auditor General also reported that Alberta was unlikely to meet its 2020 targets to reduce carbon emissions. What if politicians could stop school kids from starting clubs? A motion supporting Gay-Straight Alliances introduced by Liberal Party MLA Kent Hehr was defeated in April 2014 and a private members’ bill introduced by Liberal Laurie Blakeman in November 2014 derailed the PC agenda for the fall sitting. The debate showed rifts in the PC and Wildrose caucus and Jim Prentice’s ill conceived Bill 10 in response to Ms. Blakeman’s Bill 202 led to his first big fumble as Premier. 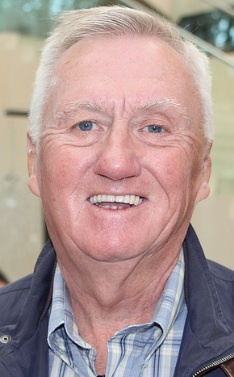 Long-time PC cabinet minister Dave Hancock was appointed Premier and interim leader of the PC Party following the resignation of Alison Redford in March 2014. A self-described policy-wonk, Mr. Hancock may have flourished under more agreeable circumstances, but most of his short time as premier was focused on undoing the damage inflicted by his predecessor. 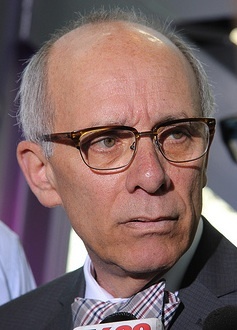 During his six months in office, Mr. Hancock’s government oversaw major collective agreement settlements with the United Nurses of Alberta and the Alberta Union of Provincial Employees and invited the R.C.M.P. 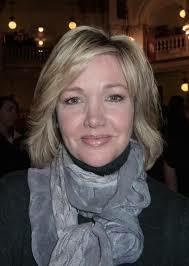 to investigate Ms. Redford’s travel habits. A surprising amount of his time in office was overshadowed by a silly and politically motivated plan to remove the “Wild Rose Country” slogan from Alberta’s license plate. After ten years as leader of Alberta’s New Democratic Party, Edmonton MLA Brian Mason announced he would step down from the party’s top job. A leadership race ensued and MLA Rachel Notley won a decisive victory over fellow MLA David Eggen and labour activist Rod Loyola. 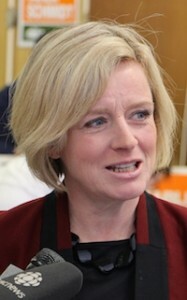 Expectations are high for the new NDP leader, as polls show her party’s support has surged in Edmonton in recent months. What should have been a sleepy federal by-election in the heart of Alberta’s Oil Belt turned into a race when Liberal Kyle Harrietha challenged Conservative David Yurdiga for the June 30, 2014 vote to replace retiring MP Brian Jean. Running an energetic campaign, Mr. Harrietha increased his party’s support from 10% in 2011 to 35.3%, placing less than 1,500 votes behind Mr. Yurdiga. 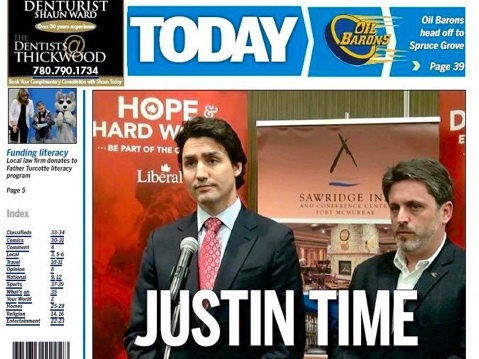 The Liberal also defeated his Tory challenger in Fort McMurray, no small feat in the land of the oil sands. 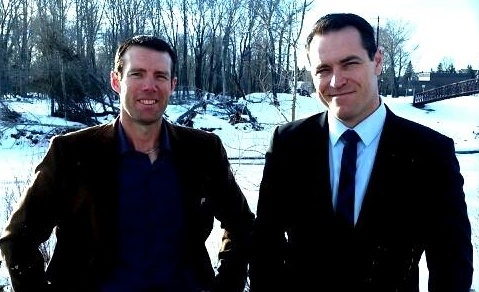 The two candidates will face off once again in the new Fort McMurray-Cold Lake riding when the next federal election is held in 2015. Four by-elections on October 27, 2014 provided Albertans with a mini-election less than two months after Mr. Prentice became premier. Triggered by the resignations of former premiers Ms. Redford and Mr. Hancock and PC MLAs Ken Hughes and Len Webber, the votes allowed Mr. Prentice to win a seat in the Assembly along with PC candidates Stephen Mandel, Gordon Dirks and Mike Ellis. The opposition Wildrose had hoped to win at least two of the by-elections, but were upstaged by the NDP in Edmonton-Whitemud and an insurgent Alberta Party in Calgary-Elbow. After a first-ballot victory in a lack-lustre and uninspiring leadership contest, Jim Prentice started his time in office with a bang. After being sworn-in, Mr. Prentice implemented a swift de-Redfordization agenda, with daily announcements undoing some of his predecessors more unpopular policies and decisions. Purging Redford era cabinet ministers, selling the government’s fleet of aircraft, keeping the Michener Centre open, backing down from controversial changes to public sector pension plans and cancelling the botched license plate redesign were all no-brainers, but they projected an image of the new premier as a competent chief executive in command. Arguably, Mr. Prentice’s only missteps in his first few months in office were his aborted Gay-Straight Alliances bill and the unease caused after he tactfully dismantled the Official Opposition (see #2 below). Despite his success in distancing himself from Ms. Redford, the main thrust of Mr. Prentice’s government – promoting pipelines and the oil sands abroad – remains the same as hers. For four years, PCs told Albertans not to trust those kooky and scary Wildrosers. At the same time, the Wildrosers told Albertans not to trust those crooked and corrupt PCs. 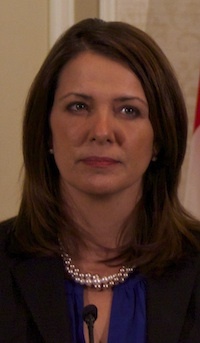 But in November and December 2014, Mr. Prentice’s PC Caucus accepted 11 Wildrose MLAs into their ranks, including Official Opposition leader Danielle Smith. 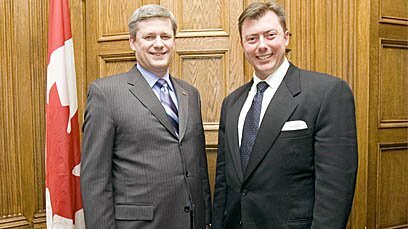 The caucus merger, which was either in negotiations for months or sparked by the Wildrose by-election loss (depending on which story you believe), was encouraged by Conservative Godfather Preston Manning (Mr. Manning later apologized for his role). The floor crossing gutted the Official Opposition, left with 5 MLAs and enraged Wildrose supporters, who started a “Recall Danielle” campaign in her Highwood constituency. Five-term Calgary MLA Heather Forsyth stepped in as interim leader until a permanent leader can be chosen in 2015. 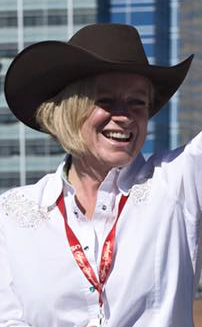 Alberta’s first woman premier started her time in office with great promise and many Albertans believed she signalled the beginning of a new, more progressive, era in our province. Ms. Redford quickly proved those believers wrong with deep funding cuts to colleges and universities and attacks on public sector workers and their collective bargaining rights. In the end, plummeting fundraising returns, bad polling numbers, MLA defections, and a caucus and party on the verge of revolt forced Ms. Redford to step down as Premier of Alberta and Leader of the PC Party on March 23, 2014. 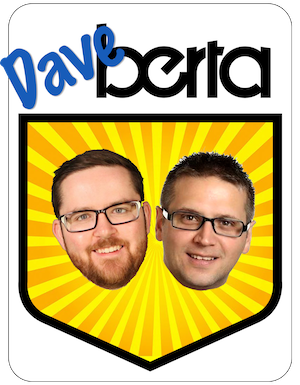 Have I missed any of your top 10 moments in Alberta politics? Please share what made your list in the comment section. This entry was posted in Alberta Politics and tagged Alison Redford, Brian Jean, Brian Mason, Calgary-Signal Hills, Danielle Smith, Dave Hancock, David Eggen, David Yurdiga, De-Redfordization, Fort McMurray-Cold Lake, Gay-Straight Alliances, Gordon Dirks, Heather Forsyth, Jim Prentice, Ken Hughes, Kent Hehr, Kyle Harrietha, Laurie Blakeman, Len Webber, Martin Shields, Merwan Saher, Mike Ellis, Preston Manning, Rachel Notley, Rob Anders, Rod Loyola, Ron Liepert, Stephen Mandel, Wildrose Floor Crossings on December 31, 2014 by Dave Cournoyer. Despite Alberta’s prosperity, Premier Jim Prentice is warning we could be heading into tough economic times. The decline in the world price of oil has spooked the 43-year governing Progressive Conservative establishment and the corporate elites in downtown Calgary. 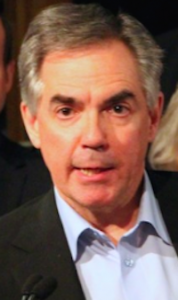 The perilous “price trough” has led Mr. Prentice to warn of a potential $7 billion revenue shortfall if oil prices remain at lower than expected levels for the entire 2015/2016 fiscal year. According to a government spokesperson, some of the missing $7 billion could come from revenue streams such as land leases, but at this point the number is largely based in speculation and politically spin. Mr. Prentice’s prophetic $7 billion shortfall becomes more startling when learning the Alberta Government is projected to collect only $7.5 billion in crude oil and bitumen royalty revenue in the 2014/2015 budget year. This projected revenue is based on the price of Western Canada Select (WCS) oil remaining at $77.18 per barrel. Although the yearly average price is $84.02 per barrel the current price of WCS has dropped to $48.44 per barrel. 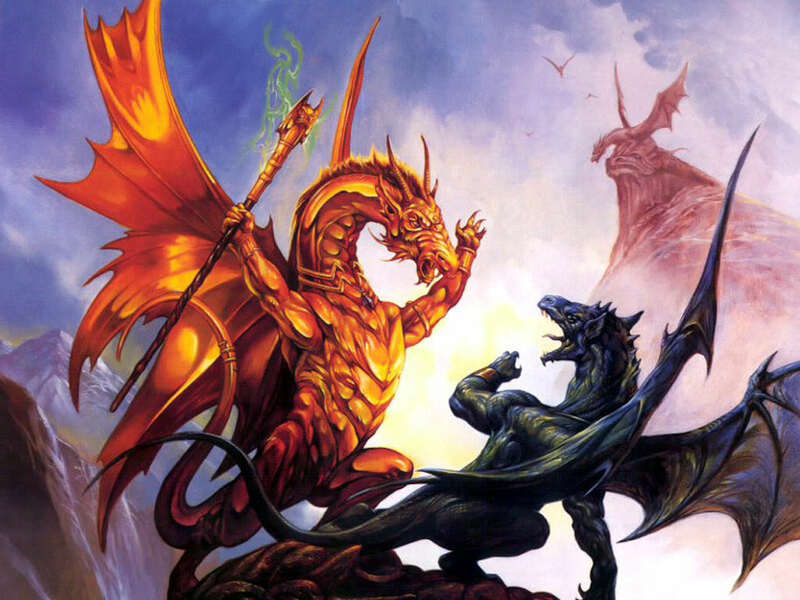 If the “tough economics times” message sounds vaguely familiar, that is because it is. In oil-rich Alberta, we hear a lot from our political leaders about tough economic times, even when times are prosperous. In most cases, our politicians are managing voters’ expectations and positioning themselves to take credit as ‘prudent fiscal managers’ when the world-wide price of oil inevitably increases. “Meeting the Challenge of Tough Times” was the name of the three-year economic plan launched by Premier Ed Stelmach’s PC government in 2009. The sharp decline of natural gas royalty revenue and that year’s world-wide recession, which felt more like a mild economic pause in Alberta, even convinced the Tories to amend the Klein-era Fiscal Responsibility Act to allow the government to pass deficit budgets. 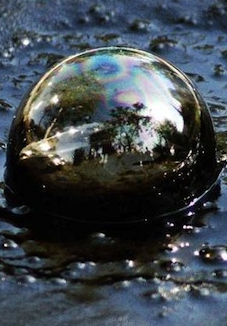 And in January 2013, Premier Alison Redford used a televised address to warn Albertans that a $8 billion shortfall in the provincial budget was being caused by an ominous “bitumen bubble.” Ms. Redford’s bubble was then used as justification to slash funding to colleges and universities by 7% in that year’s budget. But the PCs have not always predicted “tough economic times.” In 2012, then-finance minister Ron Liepert told the Calgary Chamber of Commerce to expect $16 billion in projected resource revenues by 2015. A huge jump in revenue would certainly increase the likelihood of Mr. Prentice calling a provincial election in early 2015. Alberta’s government has heavily depended on revenue from cyclically priced resource commodities for decades. After years of unrestrained growth, no one should be surprised that Alberta’s economy could slow down. The question is how we respond to actual tough economic times in Alberta. Was NDP Official Opposition Leader Ray Martin correct in 1986 when he said that “they don’t know what to do with tough economic times”? While some right-wing think tanks call for a return to brutal slash and burn fiscal policies, the implementation of real long-term financial planning would probably be a more mature solution. 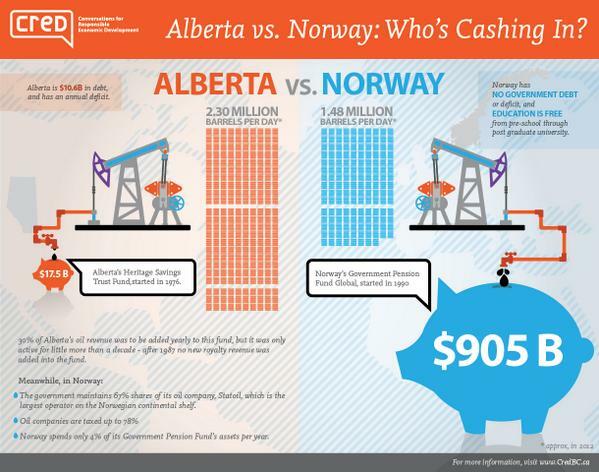 Comparing Alberta’s Heritage Fund and Norway’s Petroleum Savings Fund. Norway, a country with 5.1 million people, invests oil revenues into the Government Pension Fund Global and contains more than $857 billion. The fund was established in 1990 to smooth out the disruptive effects of highly fluctuating oil prices. Oil-rich jurisdictions like Norway prove that economies can be both economically prosperous and environmentally green. Alberta, a province of 3.6 million people, launched the Alberta Heritage Savings Trust Fund in 1976. 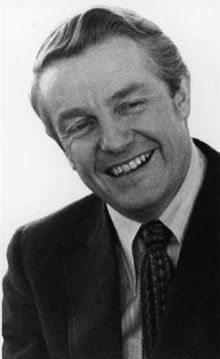 Under the leadership of Peter Lougheed, the Heritage Fund initially received 30% of government resource revenues and was worth $12.7 billion in 1986. The Heritage Fund is now worth only $17.4 billion. Facing tough economic times in 1987, the PC government of Don Getty halted all transfers to the Heritage Fund. Zero deposits were made between 1987 and 2004. This week, PC MLAs passed Bill 11: Savings Management Repeal Act, which repealed the Savings Management Act, which was enthusiastically passed by the same group of PC MLAs in March 2014. The earlier bill would have diverted resource revenue to the newly created Alberta Future Fund, Social Innovation Endowment account and Agriculture and Food Innovation Endowment. The bill passed this week eliminates those new funds. Despite talk of revenue diversification, it is questionable whether the governing PCs would seriously consider increasing resource royalties, reinstating a progressive taxation system or introducing a provincial sales tax. While many politicians view tax increases as politically unpalatable, a slight tax increase would not destroy the our province’s economy. “If Alberta increased its tax rates by $11 billion our province would still have the lowest tax rate in Canada,” Kevin Taft wrote in his 2012 book, Follow the Money. Dr. Taft’s book breaks down government spending patterns over the past 30 years and details how corporate profits have skyrocketed in Alberta at the same time the PC Government has struggled with deficit budgets. As a province with decades worth of dependence on revenues from natural resource royalties, it should not be a shock that we need to be smarter about how we plan and finance our government spending. Maybe our only problem is not our over reliance on cyclical natural resources revenues, but that the Progressive Conservatives are just bad fiscal managers. On this week’s Alberta Primetime politics panel, I joined Rob Breakenridge, Roberto Noce and host Michael Higgins to discuss the Gay-Straight Alliance debate, Moe Amery‘s texting-while-driving-demerits bill, and Bill 2: Alberta Accountability Act. This entry was posted in Alberta Politics and tagged "Tough Economic Times", Alison Redford, Bill 11: Savings Management Repeal Act, Bitumen Bubble, Don Getty, Ed Stelmach, Fiscal Responsibility Act, Follow the Money, Jim Prentice, Kevin Taft, Michael Higgins, Moe Amery, Norway, Price of Oil, Ralph Klein, Ray Martin, Rob Breakenridge, Roberto Noce, Ron Liepert, Savings Management Act on December 11, 2014 by Dave Cournoyer.